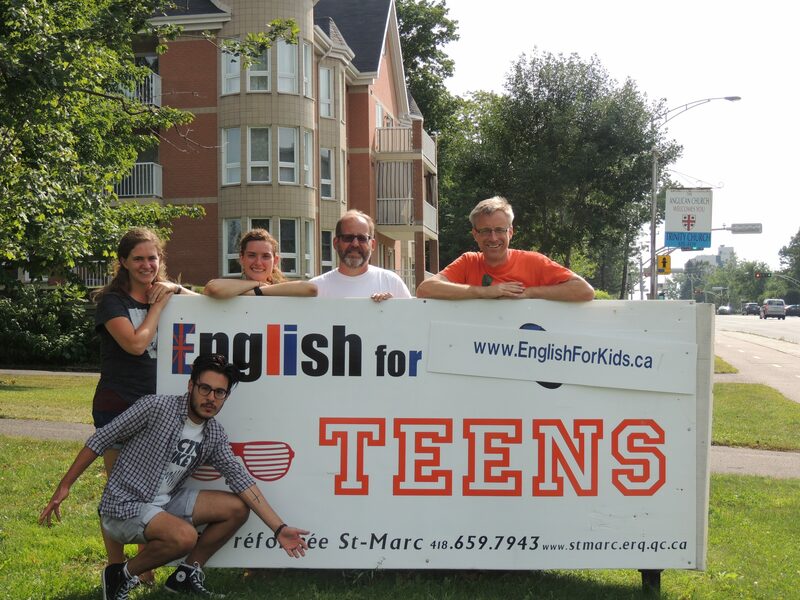 August 1-5, 2016, Hannah was a member of a 5-person team that led the annual "English for Teens Camping Trip" in Quebec. Team members included OP Missionary Ben Westerveld, Pastor of St-Marc's Reformed Church in Quebec City, and his missionary associate Jennifer Nelson, who organized the camp. I thoroughly enjoyed my time serving with the team in Quebec; I can't possibly say enough about it! I met many young men and women there who need the light of the gospel in every corner of their lives. In the short time I was there, I felt that those teens reached out for friendship and the Lord certainly worked in their hearts for good. Quebec is quite different from the US. Church attendance is uncommon and familial responsibility rare. Many of the teens we served came from divided households, often with several half siblings they either lived with or shared a parent with on weekends. They loved hearing stories about how different families are in churches. I felt as if their experience with us showed them what it meant to be able to respect and trust adults if nothing else, and hopefully that will encourage them to seek trustworthy adults in church!